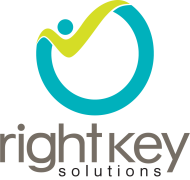 Rightkey was established with an aspect of providing comprehensive end to end training on various computer software IT courses. Our team consists of high end professionals with vast real time experience who trains you on all courses. If you are searching for any online training, we assure you could not find the best place than Rightkey. It’s not just a matter of training, it is stepping stone of ones career. We believe every sincere, honest and hard-working candidate deserve to taste the fruit of success by rising at top of their professional career. Rightkey conducts classes in Oracle Training and Peoplesoft HRMS. It is located in Madhapur, Hyderabad. It takes Regular Classes- at the Institute and Online Classes- via online medium.